Today was the second time I’ve done this in around a year, it’s a little uncommon to be honest, which means googling advice on how to do it, is a bit thin. 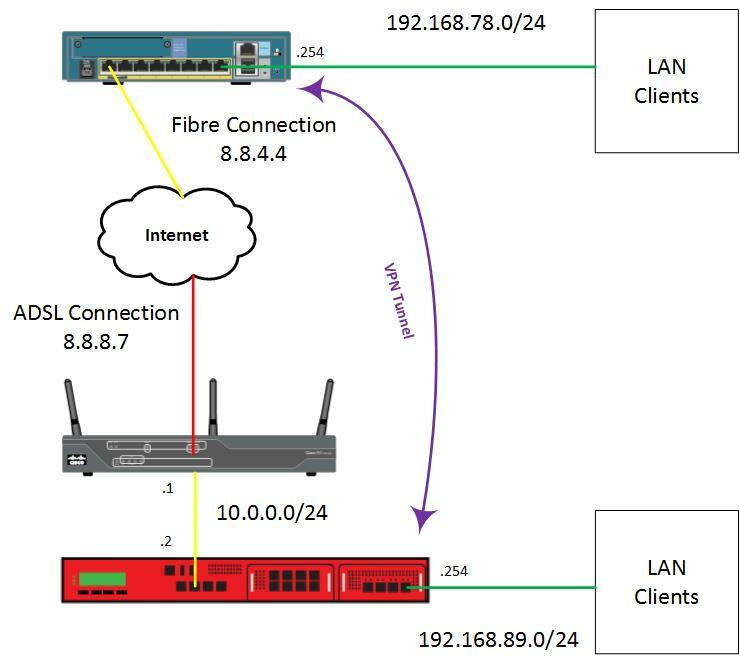 Todays walk through is also made even more different by the fact that at the branch site containing the Watchguard, its connected to a Cisco 857w router, with a Public IP address NAT’d to it due to the site having an ASDL connection. It’s actually easy enough to setup, the official documentation on the Watchguard is here, but doesnt cover it all. 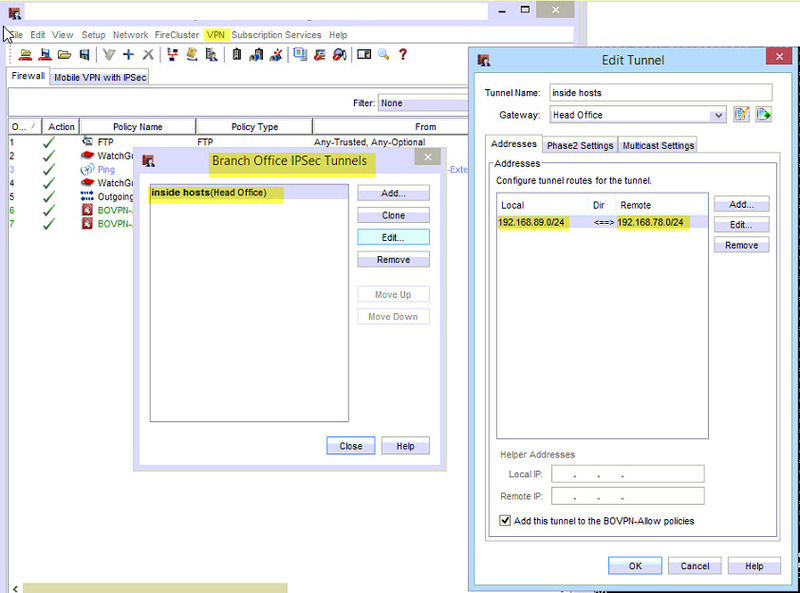 Log onto the Watchguard and load up policy manager. 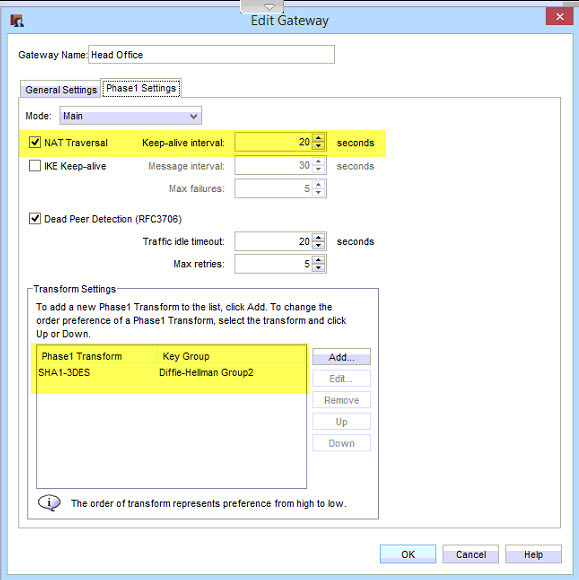 Ensure here that your transform settings match those on the Cisco ASA, of which in the example I’ve used the defaults. Click ok to finish this. 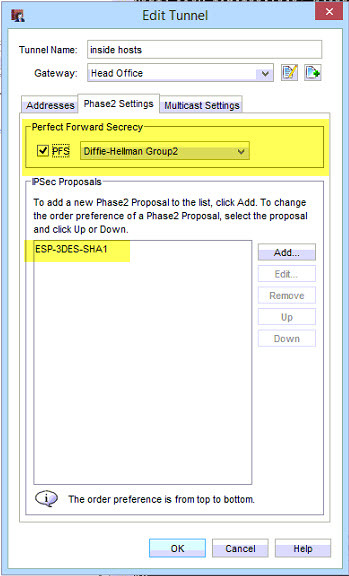 Ensure your Encryption selection under IPSec Proposals match those on the Cisco ASA. And your tunnel should be up. If your Watchguard is not behind a NAT and has a direct Public IP address, then you can disable NAT-Transversal on both the Cisco ASA and the Watchguard. Virus RamsonWare. Tareas pendientes en nuestra red.